One of my favorite shows was The Sopranos, a tale of modern American mob life. 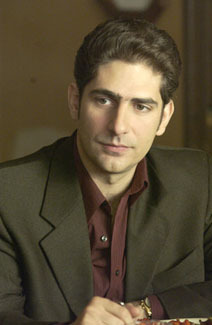 In one episode Tony Soprano’s right hand man, Christopher Moltisanti, has to sit an exam which it would be impossible for him to pass. The solution? Get a bright college kid, forge some identity documents and have this kid sit the exam in Christopher’s name. The result? A somewhat dumb Jersey mobster has a stockbroker license. Well this has happened for real now in the UK. A group of Chinese gangsters organized a team of imposters to sit English language exams on behalf of Chinese nationals who wanted to remain in the UK but who didn’t have the requisite skills. The result? Non-English speaking Chinese nationals get visas to live and study in the UK where – most likely – they worked illegally. Oh, but there was another result. The leader of the gang, Yang Wang, was jailed for 4 years for his part in the scam which netted almost 2 million dollars while it was in operation!